Police are trying to trace a woman following an incident in which a washing machine was damaged at a laundrette in Crawley. 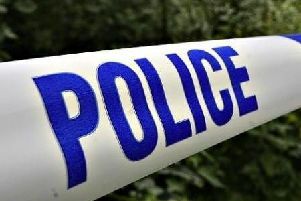 A statement from Sussex Police said: “The suspect was captured on CCTV cameras damaging the machine at the Western Laundrette at Langley Parade, Crawley, at around 7pm on Wednesday May 4. “The woman was trying to put a large duvet in a washing machine but could not fit it in. She then threw open another washing machine door which smashed against the washing machine door next to it causing it to shatter. This caused around £147 worth of damage. Anyone who recognises her or has any information is asked to contact police by emailing 101@sussex.pnn.police.uk or ring 101 quoting 1564 of 04/05.